Recently a friend asked me if I would like some homemade soap to try. Of course! I love a good bar of soap, and homemade is great. 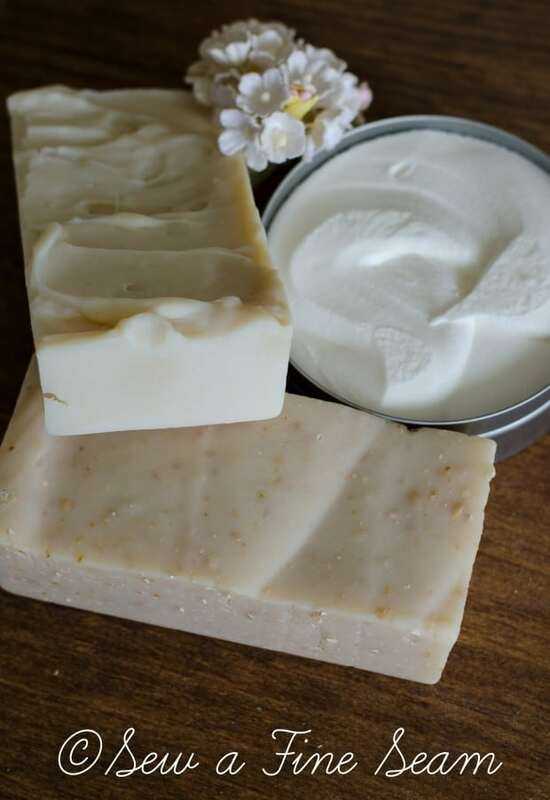 Especially if it’s homemade that I didn’t have to make 😀 I’ve used up one bar of soap and am on my second and now I want to share with you what it is, where you can get some, and why you should! 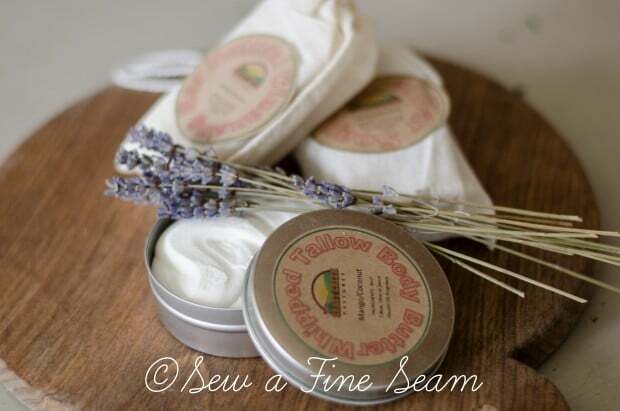 Kraut Creek Pastures – all natural ingredients. Homemade in Ohio! Along with 2 bars of soap she sent me some whipped tallow body butter. This stuff is great! A tiny bit goes a long way and moisturizes without being greasy. It’s so pretty and smells great too! I’m always happy to find great products that are made in my home state, and these products meet that description. The soap is great smelling without being overpowering, and it didn’t dry my skin out at all. 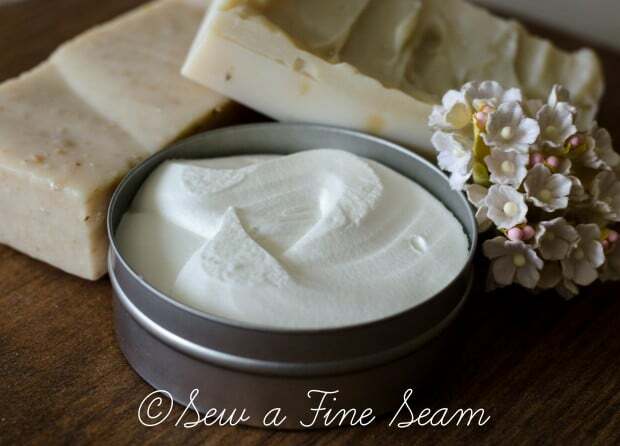 As the cold weather returns it seems dry skin can be a real issue in our household. This stuff has helped out a lot with that. So many detergents used in commercial soaps dry skin out so quickly. The bottom bar of soap is Oatmeal/honey bar scrub. I loved the gentle exfoliation of the oatmeal. This one is a specialty bar soap. If you are looking for a homemade soap that you don’t have to make yourself I give this one a big thumbs up! The prices are great too! You can order right from their website. 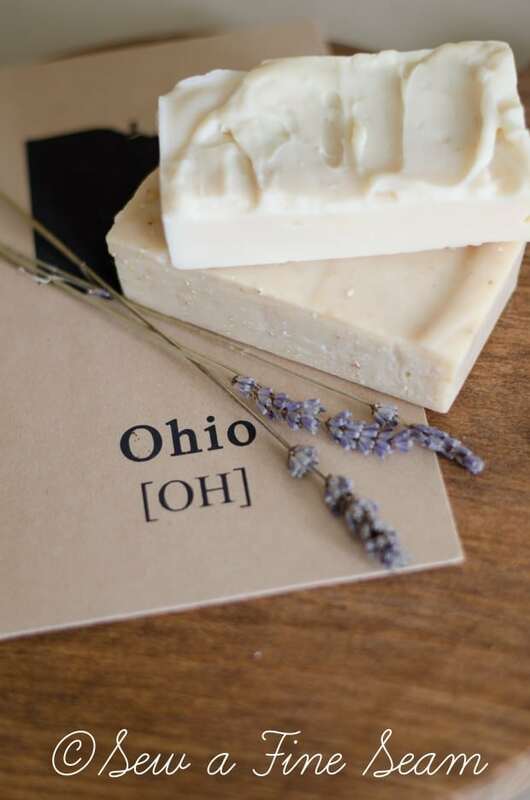 If you are in the Greenville/Arcanum Ohio area the soap is for sale at Smith Merchants – which also happens to be the shop I’m stocking with paint and furniture and vintage and handmade. 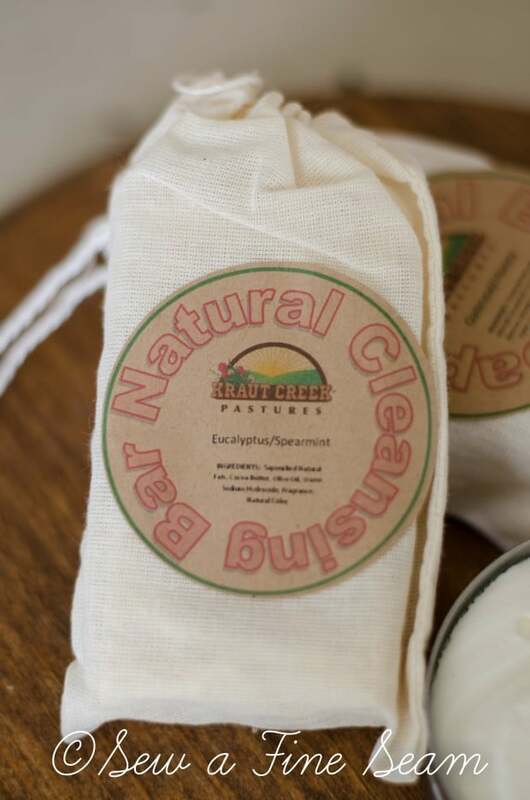 Kraut Creek Pastures also has some limited edition soaps that you should check out too – they sound so yummy – er, fragrant! Frosted Cranberry, Cinnamon Sticks, Frankincense, and a few more – check them out! They also offer whole, uncut lambskin! I’m not telling my girls this cause they would all want one! 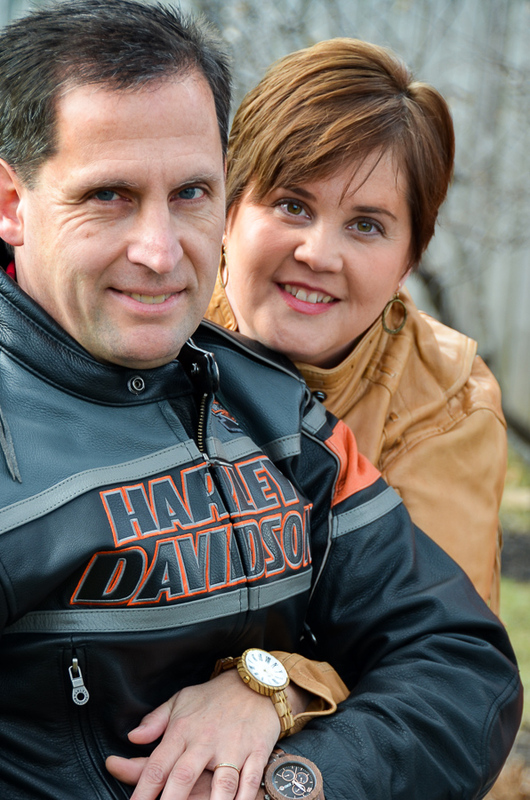 What fun to be able to make your own items out of a lambskin! Maybe you are in search of a soap that is mild and natural but still does the job soap is intended to do – try this one out! Get a tub of body butter while you are at it 😀 Need Christmas gift ideas? Yummy smelling soap is always a winner! 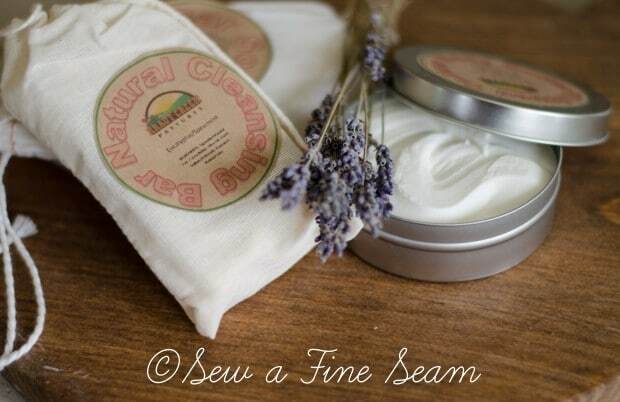 Disclosure – I received the soap and body butter for free in return for a review on my blog. All words and opinions are my own. What darling packaging! I bet is does smell amazing! Your new site looks fantastic! That soap sounds so good, the oatmeal that helps exfoliate would be wonderful. It’s hard in winter when heaters are going full bore to keep our skins from drying out so badly. Even harder if a person lives in a cold climate to keep our skin nice and soft. The packaging is quite attractive on the soap. I’d love to try body butter. Looks so nice and creamy. I’ll go take a look at what they have. After much experimenting we use a Nourish ulta moisturizing body wash from City Mkt. that seems to work really well, is quite soft and makes skin feel lubricated. As soon as I get out of shower I put lotion on, been using Nivea for few months now, had bad allergic reaction to some other lotion. We used to buy body wash for sensitive skin but it was making us itch, go figure. Our water is very hard here so have to compensate with products to help from itching and drying out so badly. Good to be able to try other products that you might not have otherwise known about. Glad the soap is good for your skin. wow.. beautiful stuff… once again.. I need to get to Smith’s!!! 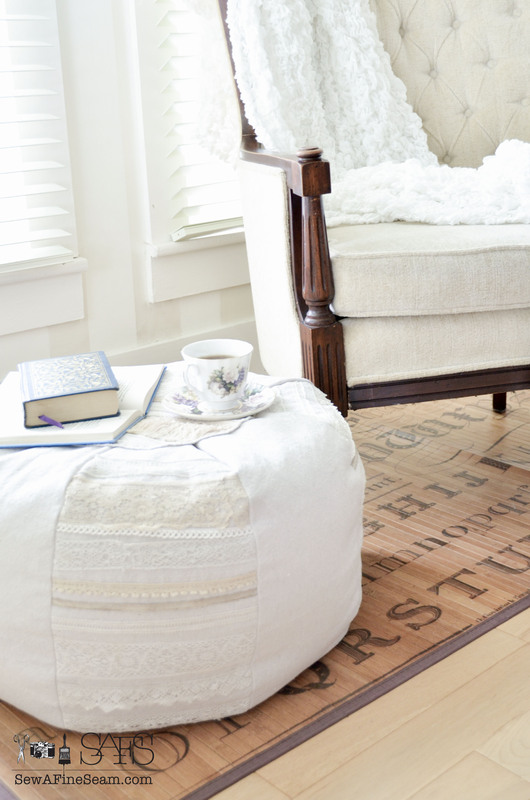 Plan to come for our open house if you can – I hope to have it all really beautiful by then! It is beautiful! How fun! Stocking stuffer ideas!! 🙂 I don’t eat soap either but these smell good enough you wish you could!